Chauvet SlimPAR Pro VW is a variable white fixture featuring 36 warm and cool white LEDs. This is particularly useful when matching the color temperature of existing lighting or achieving a specific temperature for video use. 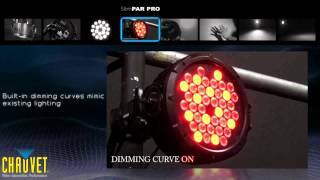 Considering purchasing the Chauvet SlimPAR Pro VW Variable White LED Par Can? Have questions? Ask people who've recently bought one. Do you own the Chauvet SlimPAR Pro VW Variable White LED Par Can? Why not write a review based on your experience with it. These are fantastic, these have enabled us to start phasing out old fashion bulbed whites as we have been waiting for a nice white light. If you a need white! 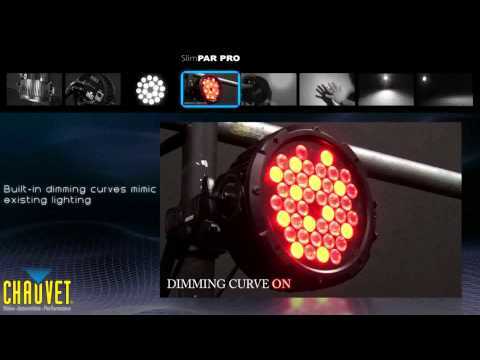 Seen a video for Chauvet SlimPAR Pro VW Variable White LED Par Can online or have you own video? Check out Chauvet SlimPAR Pro VW Variable White LED Par Can on DJkit.com!